BIOMOR® Curcumin is the Name You Can Trust for Full Disclosure Labeling— Why Does it Matter? Many brands FAIL to disclose potency (%) so consumers are left guessing about how MUCH curcumin is truly in their products, as shown in chart below. Bioavailability (Absorption): is a MAJOR problem because curcumin is so poorly absorbed and there are many grossly INFLATED claims in advertising. 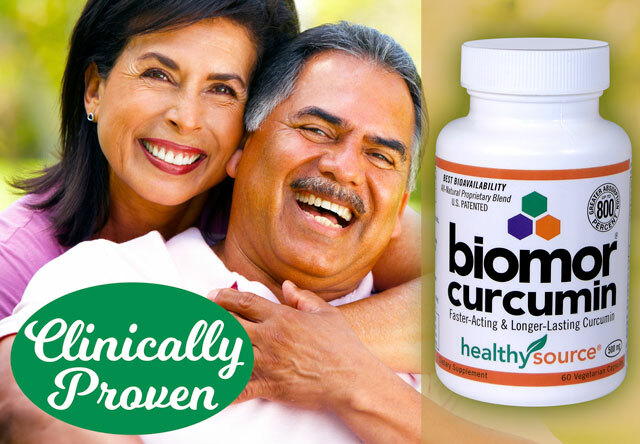 BIOMOR® Curcumin is PATENTED and clinically-proven for best absorption. Potency (%): is how MUCH curcumin you're getting. A bigger number means more curcumin. Look for the highest potency (95%). 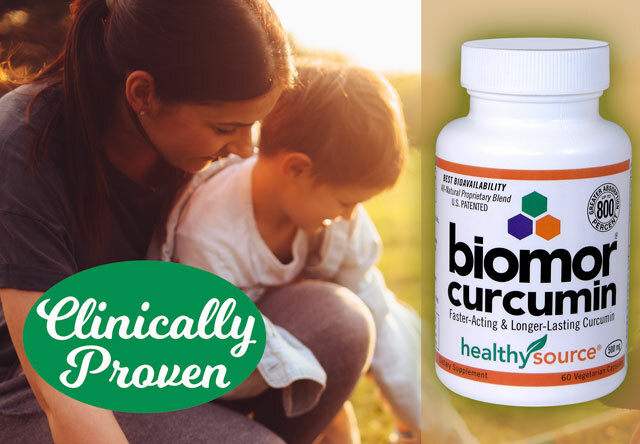 BIOMOR® Curcumin is PATENTED for up to 800% improved absorption in human clinical trials (as compared to other 95% curcumin products). BIOMOR® Curcumin contains no piperine. Potency is measured by percentage (%). The higher number means more curcumin. 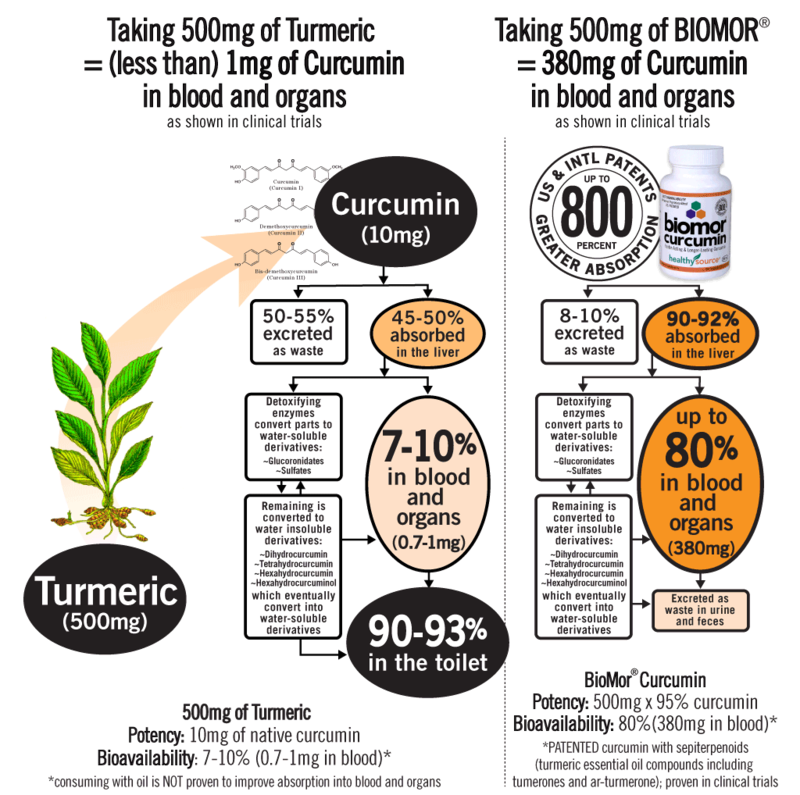 There's a huge difference between turmeric extract (2%) and standardized 95% curcumin. The difference is a whopping 4,750%! When curcumin products fail to disclose potency (%), consumers are left guessing about how MUCH curcumin is truly in each capsule/softgel. 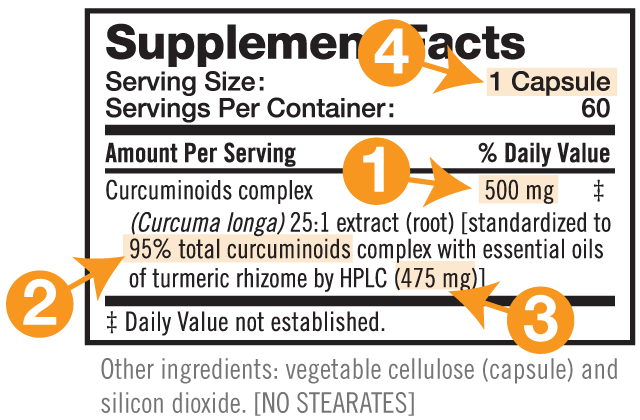 The Supplement Facts label is not required* to show the potency (%) of curcumin. That's unfortunate because it's the only way a consumer may know how MUCH curcumin is in the product. *NOT REQUIRED by FDA or GMP rules. 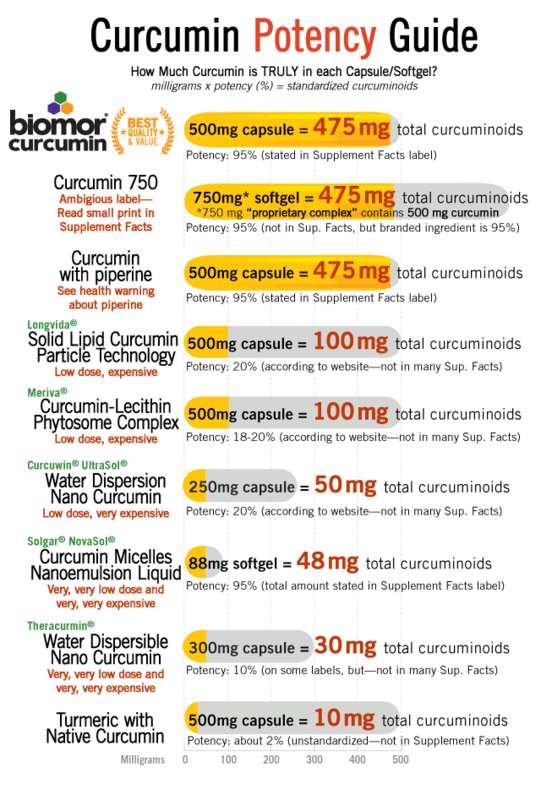 The following chart compares reputable and patented brands of curcumin. Many fail to include the potency (%) of their curcumin in the Supplement Facts, so we searched the manufacturer's website and noted this below. To determine potency, read the small print in the Supplement Facts to find the value (percentage) of standardization. (See #3 in the Supplement Facts, below. We'll examine BIOMOR® Curcumin to show what a full-disclosure label looks like. Contains no sugar, salt, corn, milk, yeast, soy, wheat, gluten, preservatives, artificial flavors or colors. No pesticides, herbicides, GMOs and radiation: BIOMOR® Curcumin is extracted from turmeric exclusively grown in northeast India without using pesticides, herbicides, GMOs and radiation. Directions: As a dietary supplement, one or two capsules twice a day or as directed by your health professional. 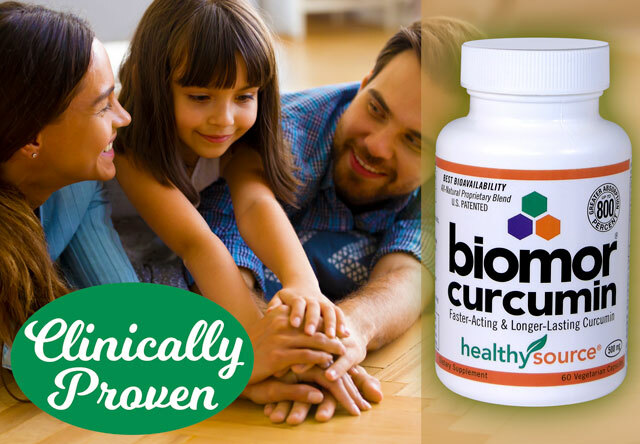 BIOMOR® Curcumin contains 500 mg of “curcuminoids complex,” 25:1 turmeric rhizome (root) extract, verified by the most preferred analysis for quality-control and standardization, High-Performance Thin Layer Chromatography (HPLC). Most brands fail to disclose the method used for quality control of the raw materials and standardization. 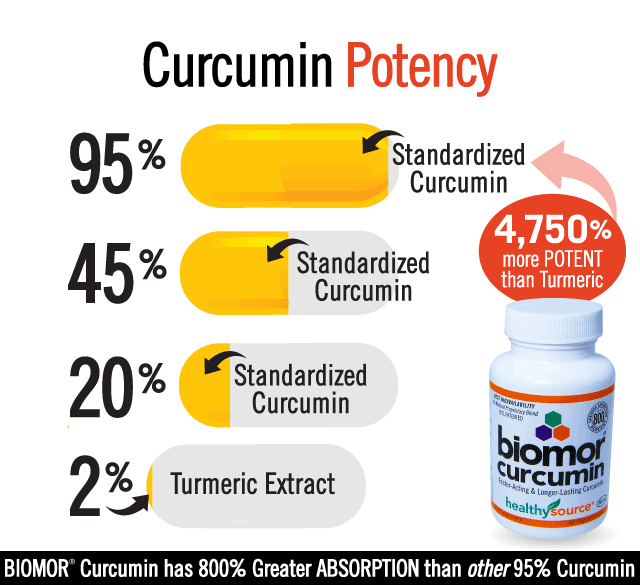 BIOMOR® Curcumin is standardized to 95%. Many other brands fail to disclose the potency (%). (plus essential oils of turmeric). Most brands don't show totals, so you must do the math yourself. For brands that use TWO (2) capsules/softgels per serving, DIVIDE the total in HALF.